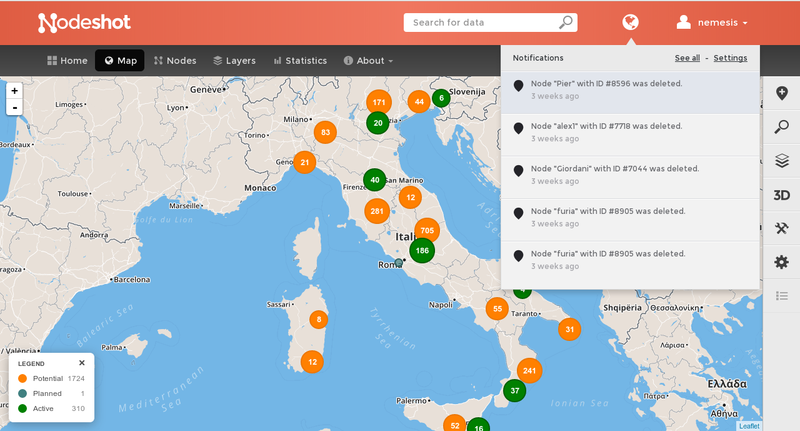 Nodeshot is an open source platform for crowdsourcing georeferenced data. Its goal it’s to provide some robust tools to build a modern customized crowdsourcing web application quickly. It is designed to be modular, flexible, configurable and extensible. This documentation is a work in progress. The code is hosted at Github: https://github.com/ninuxorg/nodeshot. If you have any issue or you want to follow the development of this project you can reach us at our Mailing List. For past activities consult The Nodeshot Archives. How does the importer work? © Copyright 2013, Federico Capoano. Revision 2466f0a5.